This new course is designed to meet the needs of today’s automotive classes. That includes alignment with ASE Educational Foundation (NATEF) standards and increased security. In the five years since we first rolled out LV14 we’ve learned a lot about what does and doesn’t work for our community of instructors. We’re excited to bring you a learning system that was built with your students' success in mind while offering instructors a much simpler navigation, better reporting, and easier access to quality content. Your CDX Account Manager will be happy to work with you on choose the CDX package that suits you and your students' needs. If you have customized your site with personal files, you should make sure you have a backup copy of your own files, handouts, and assignments. When your new course is ready, you can simply drag and drop them into your new site and assign due dates. Request your own course today and once it is ready, you can begin to start using it as soon as possible. No need to wait until the summer to start taking it for a test drive to take full advantage of the new functionality. What happens to my old site? 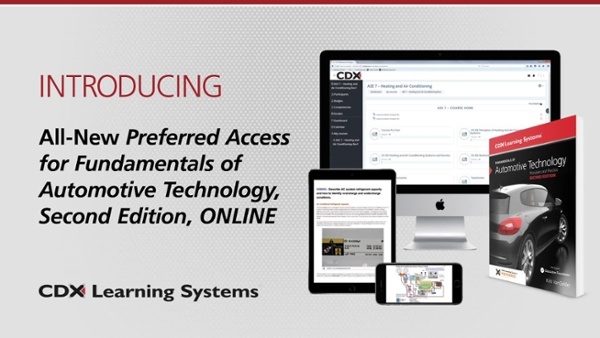 Once you have received your new CDX Online site, your old site will be ready for closing out over the summer. There will be a limited window this summer during which both sites will be active so you have time to migrate all of your files to the new platform and get the hang of the new site. Your current CDX site will be closed before July 31st unless you request otherwise. How can I get training? We’ll be hosting webinars throughout the year. You can also email Ian Giddings to schedule a one-on-one webinar training. When will I receive my new course? New courses will be ready beginning in April for spring training and transitioning.